I develop a printer driver for ESC/POS receipt printers, and we regularly get feature requests for encoding text in the Chinese, Japanese and Korean languages (“CJK”). I have recently been looking for a way to add support for these on receipt printers that have no native ability to render them, and thought I would write a bit about some progress so far. I previously wrote a bit about printing individual bitmaps for each character, where here I am aiming to print entire scripts. Programmers usually deal with text in UTF-8, but receipt printers don’t. Instead, they still use a series of legacy code pages to represent non-ASCII text. Mapping arbitrary text to something understood by these printers is a huge challenge. The escpos-php driver will automatically map a lot of western scripts to these code pages. However, if you attempt to send an example string like “日本語” to escpos-php currently, the driver will substitute it with “?? ?”, since it doesn’t know how to convert them to ESC/POS. On some printers, there are native commands to print Japanese, but for a driver project, we need something with broad compatibility. So, I decided to try to get this working on an Epson TM-T20 variant which has no CJK fonts. I started by making a new standalone test script, which converts text input into ESC/POS using a cut-down version of the escpos-php printer driver. I then modified this to print arbitrary UTF-8 text with a local bitmap font. These next sections go through some of the things I had to write to get it all working. I decided to start with the GNU Unifont project, because it ships fixed-width binary fonts in a text format that can be parsed without a font library, is freely licensed, and has excellent coverage. Unifont contains characters that are 8 or 16 pixels wide, that cover the entire Unicode Basic Multilingual Plane (BMP), at 16 characters tall. ESC/POS supports a fixed 12×24 or a smaller 9×17 font. ESC/POS fonts are submitted in a 24 pixel tall format regardless of print area. Since the characters would be surrounded by too much whitespace in the “Font A” (12×24) representation, I settled on printing in “Font B” (9×17), leaving a one-pixel space underneath, and to the right of each character. These pictures show how the glpyhs (grey) are laid out in the available print area (unused print area in white), in the available memory (unused memory in red). Note that wider characters have a two-pixel dead-zone on the right. The non-printable 7 pixels at the bottom of the images are ignored by the printer. The format on the printer for each character stores bits in a column-major format, while most raster formats are row-major, so I wrote a quick converter to rotate the bits. The converter code is not very concise, so I’ll just share a screen capture here. The full code is linked at the end of this post. Lastly, the output size on paper was tiny, so I set the printer to double the size, which results in text that is around 50% larger than the default output. There is only space for 95 single-width characters in an ESC/POS font, but the scripts are much larger than this. I treated the font as a queue in this implementation. During the print-out, new characters are added to the font as necessary, and the font is re-written from the front as space runs out. This is also known as a FIFO cache eviction policy. I converted the string input to an array of Unicode code points to avoid canonicalisaton issues. The IntlChar class is provided by an extension which is very useful but not widespread, which limits the portability of this code. 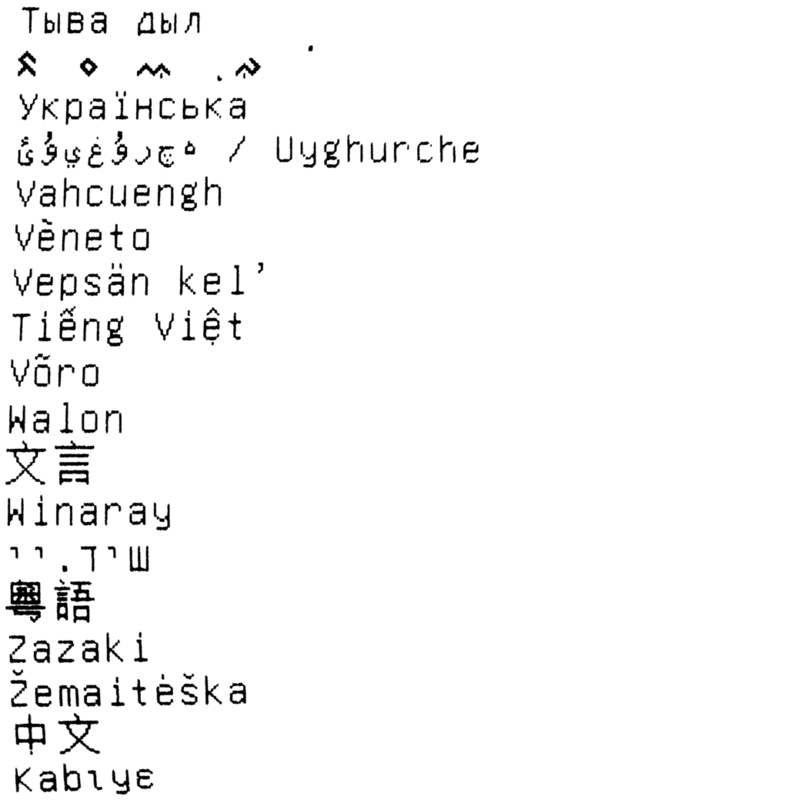 I got the list of languages from the sidebar of a Wikipedia article to use as a test string, since it contains short strings in a large number of scripts. 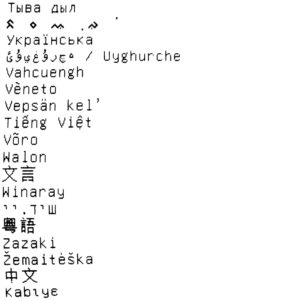 The output contains a large number of correctly rendered scripts, including the CJK output, which was not previously possible on my printer. Previously, I have tried generating small images from system fonts to send text to the printer. 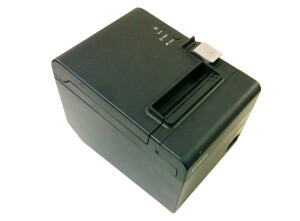 This is quite costly in terms of processing and data transfer, and the printer is unable to format or wrap the text for you. Storing glyphs in the custom font area involves transferring less raster data, and allows most text formatting commands to be used. These characters are a different size to the native printer fonts, so we can’t mix them on the same line. This means that we can’t use this code to implement an automatic fallback in escpos-php. However, it may appear in a future version as an alternative “PrintBuffer”, which can be explicitly enabled by developers who are not interested in using the native fonts. The esc2html utility is not able to emulate custom fonts, so the output cannot currently be rendered without an Epson printer. Also, we simply printed a stream of characters, which is not really how text works. To implement Unicode, we need to be able to join and compose characters, and respect bi-directional text. Unicode text layout is not trivial at all. The full script is available in the escpos-snippets repo on GitHub, where I store prototypes of new functionality that is not yet ready for prime-time. 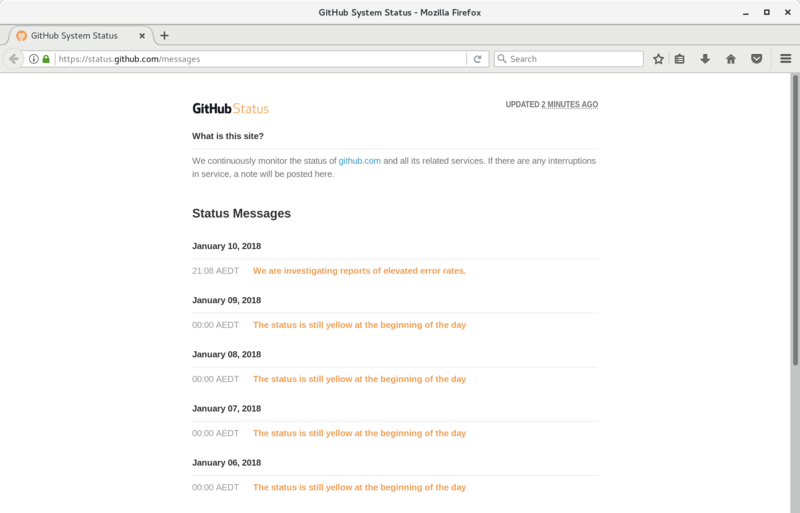 TL;DR; – GitHub can be pretty unreliable, depend on it at your peril. 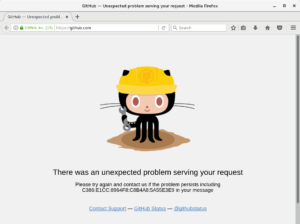 GitHub was down for about 20 minutes today. I happened to be logged in so I’ll share a few screen captures. The status page and twitter showed no activity for the first nine minutes of the outage, but were then updated with erroneous information. 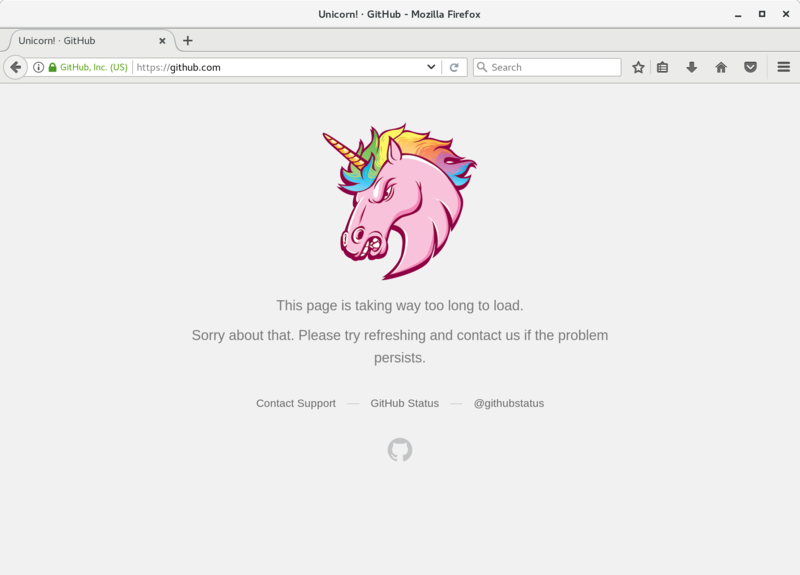 Meanwhile, the website started displaying unicorns. 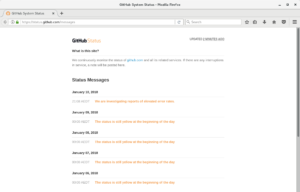 If you are logged into GitHub regularly, you might know that this is not a rare event. I don’t have any data on how often GitHub is actually broken, but based on that status page, I’m not sure that know either. Around May 2013, a website that I maintained started rendering incorrectly because of a bug in my code: I had made some MySQL fields TEXT type, which have a limited size, and part of the application had exceeded the limit, resulting in truncated pages. This app is written in PHP, and my deployment workflow at the time involved pushing up a change to GitHub, then then triggering a git pull on the server, which ran an update script to bring everything up to speed. In this case, I was on mobile internet, so I diagnosed the problem and prepared a hotfix on my laptop. 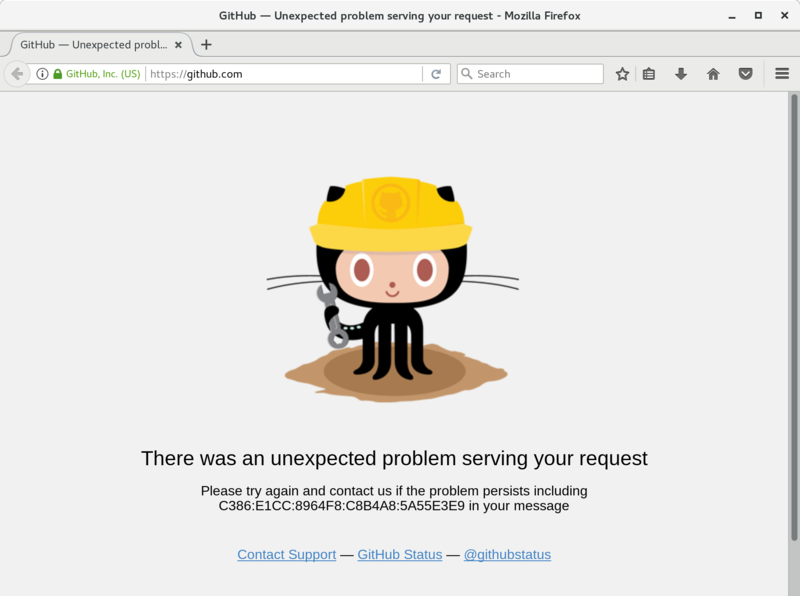 When I tried to push it to GitHub, it was offline. I ended up logging in and running a few ALTER TABLE statements over SSH, which is a long shot from the robust deployment pipeline I had envisaged. 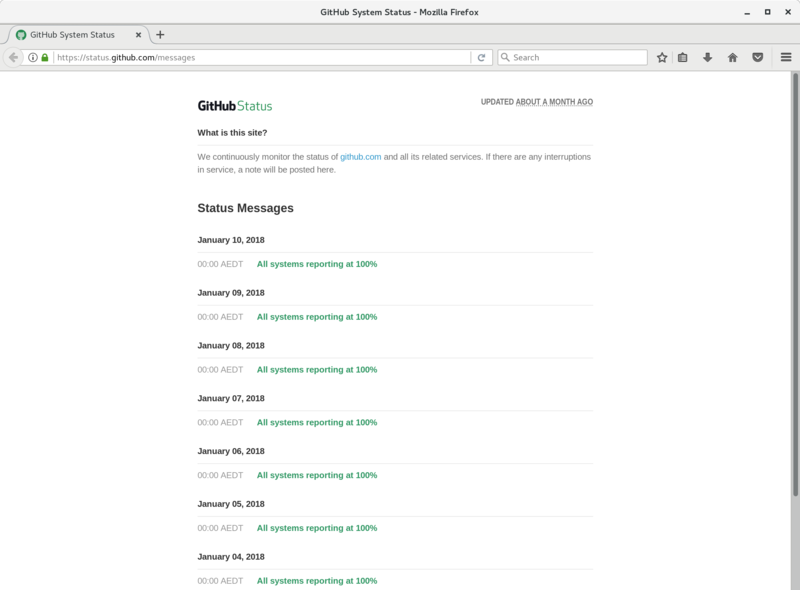 There are some emerging SaaS products that offer to deploy directly from GitHub. For example, I use Travis CI extensively for open source, and you can hook it up with deployment keys. This stuff seems really cool, but I imagine that an error message containing rainbow unicorns would not be very funny if you wanted to fix something in a hurry. This particular app is still deployed with a git pull, but I’ve started to avoid mixing deployment with version control, so that I can run a build and deploy anywhere in case of emergency. I’ve released another update to the open source receipt printing library escpos-php today. Device support has been continuing to improve. See the v1.5 release notes for all the details. Please direct any bug reports to the issue tracker on GitHub. The escpos-php tag on this blog has some posts about the driver for PHP programmers who are looking to use it. The next minor release of the open source receipt printing library for escpos-php was published today. 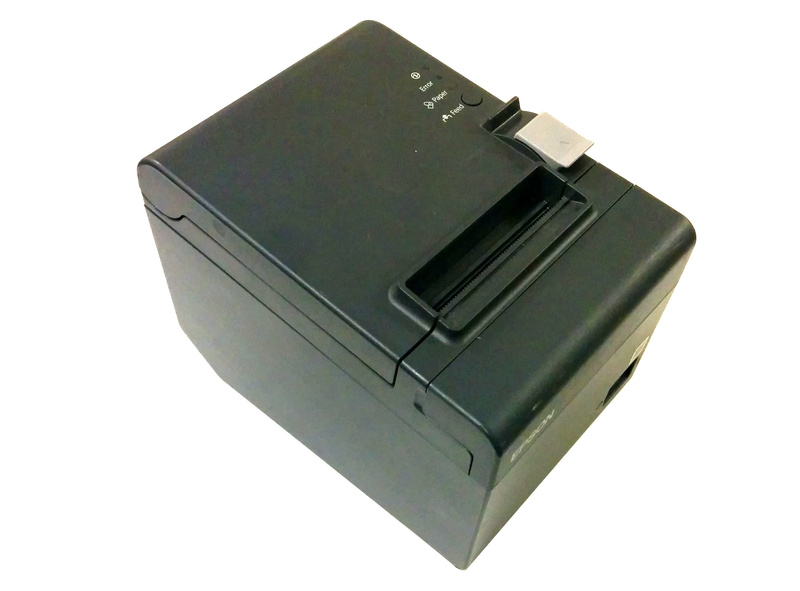 Aside from the official documentation, if you are a PHP programmer with a receipt printer, you can learn how to use escpos-php by reading the escpos-php tag on this blog. Please direct any questions or suggestions to the issue tracker on GitHub. I’ve recently updated to the new IntelliJ-based Android studio 2.1. I ran into some issues attempting to launch a “hello world” project in the emulator, which I’m writing up here for the benefit of others. For context, I run Debian GNU/Linux Jessie on an AMD64 box, with Radeon graphics card, using the free drivers. So this was fantastic progress, but without being able to launch this emulator from Android Studio, the development environment wasn’t really integrated yet. Apparently there used to be a feature for adding command-line flags to the emulator, but this is now gone. So, adapting a post here, I jumped in and replaced the emulator binary into a wrapper to inject some flags. I recently converted an old workstation to run as a home-theatre PC (HTPC). I’ve noted down the setup here for others who are making an installation like this. Some steps depend on using a radeon chipset, and will need to be adjusted for your computer. I also used a Logitech k400r keyboard and mouse for wireless input. Write the latest copy of Debian Stable to a CD or flash drive (this is version 8.3 at time of writing), and install it on the computer. Check “Debian Desktop environment” / GNOME during setup. After installation, open a terminal, and type “su” to get root privileges. Edit the software sources to include ‘contrib’ and ‘non-free’, as well as ‘jessie-backports’. Also install the firmware packages that you may need. To apply the change, log out and back in again. The rest of this guide assumes you are logged in as yourself, and will use sudo where necessary. Open the tweak tool, and locate the list of startup programs. Add Kodi to the list, log out, log in, and Kodi will launch automatically. For a PC attached to a TV, user permissions are not so importnat, so set the user to log in automatically. Install plymouth and configure grub to change the Debian boot sequence (a menu with timeout, followed by lots of text) into a graphical splash screen. This takes a bit of configuration. Add these as needed. The Australian catchup TV plugins repository from GitHub worked well. The RSS feed shows Kodi updates by default, and is part of your user profile. Edit the configuration file, and adjust the paths to your news sources of choice. Readahead is the tool of choice for boot speed optimisation. Install it, and reboot. If you quit Kodi, you are dropped back to the GNOME desktop. These apps are simply to improve the desktop user experience. Download and extract the Firefox for Linux tarball from Mozilla. Move it to /usr/share, and change the owner to match other applications there. Find the main menu editor, and add Firefox to the menu. Because you don’t need a password to log in to the user account, you can add this as a bit of insurance so that your box wont remember any passwords or sessions. This job removes the Firefox and Chrome user profiles each boot. You should now have a PC which boots into Kodi for media and TV, and lets you quit into a desktop to browse the web or run regular desktop apps. On the 1GB RAM / dual core workstation, it still took around 45 seconds from the BIOS handing over control to Kodi being ready. Update 2017-12-29: Re-installing this setup on an SSD shortened this time to 21 seconds. This includes boot, login, and an application start. When you’re writing code collaboratively, there’s plenty of situations when you need to combine two sets of changes. This could happen, for example, if Bob and yourself both fix different bugs by making edits to the same file. 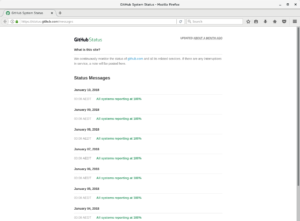 This post assumes that your source code is tracked in git. Once you’ve saved the file and closed Meld, you will be prompted on the command-line. You just tell it whether you’ve successfully merged the file, until it stops giving you new files to merge. While collecting very large numbers of screen captures for writing documentation, I noticed that it takes far too long to filter out the junk. To fix this, I coded up yn (source code via github). Given a list of images, it will display each one to the user, which they then include by pressing Y (yes) or exclude by pressing N (no) (hence the name yn). The images which are selected are saved as a list, so that a script can continue by processing them in some way. This could be by copying them elsewhere, or generating a document with spaces to caption them. The example in the README.md does both of these. The code to this early version is very simple, which makes it a good example of a simple OpenCV C++ app. I’ve stepped through it below. This line simly tells the compiler that when we say cout (console out), we mean std::cout. * Load a file, and wait for the user to press a key. * If the pressed key is 'y', print the filename. So with that library usage out of the way, all we need to do is get the list of files to check, and stop popping up windows when the user has pressed the escape key. The delay between images appearing can be removed by loading them in a separate thread, which I may do in a future version.